Early stage venture capital has a high loss ratio as they hunt for the mythical “15 companies that matter.” More companies are realizing they do not need to undertake strategies that lead to such high loss ratios. In early stage venture capital, the best investors expect that 40% of their investments will become worthless. Thus, they focus on companies that could be worth billions because the winners have to make up for all their losses. They want every company to shoot for the stars — and don’t mind if some crash and burn. For a recent discussion of this, please see Fred Wilson’s (an excellent investor, by the way) AVC blog here. This math of “40% loss ratios” makes sense for the big gambling investors — and is probably acceptable for early stage start-up founders who have created little value thus far. However, in today’s business world, more and more small to medium companies can bootstrap to profitability and continue growing at attractive rates. Even with the companies that do not need to take the risk of high loss ratios, investors sometimes let venture capital traditions influence their thinking: they push for every company to take risks to be worth billions and to create value in 3-5 years when the venture capitalists have to sell the company to get a high return. In today’s business world, such a fast push also increases the chances a company could become worthless. The VC investor wouldn’t mind a 40% loss ratio — but for the business founder to lose the value created to date would be very painful. The “go big or go home” model isn’t appropriate for someone who has already created $5 or $10 or $20 million of value, in my opinion. My investment fund, Greybull Stewardship, is intended to fill the need for capital that is well aligned with the founders and co-owners of a company that is growing and profitable and doesn’t want to risk it all unnecessarily on a moon shot. In our experience, there are many companies that fit the “growing and profitable” profile and their capital need is not well understood by the traditional venture capital community (influenced by early stage VC loss ratios and mindsets) or the traditional private equity firms that need to sell the company in 3-5 years. 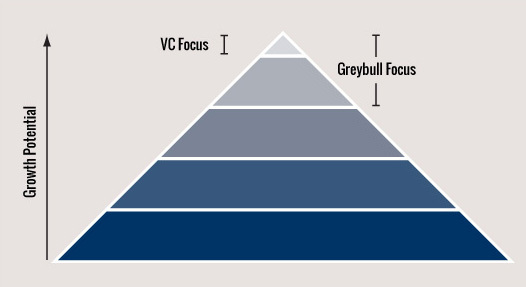 Greybull Stewardship is set-up to maximize flexibility for the co-owners of our portfolio companies, so that we all can maximize the value creation with a strategy that makes sense rather than one that is dictated by the time limitations of a traditional venture capital fund or private equity fund. In the pyramid graphic above, traditional early stage venture capitalists must focus on the very top of their pyramid where only a few companies per year will grow to be worth billions. A conventional saying in Silicon Valley says that there are “only 15 new companies per year that matter.” Every venture capitalist wants to find one of those 15. 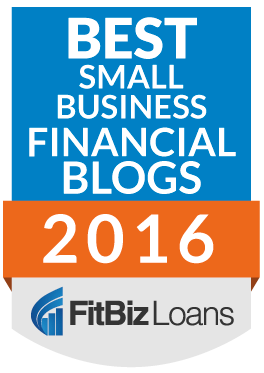 This leaves a capital shortage for the next hundred or thousand companies that are good, growing, and interesting. I recommend that a founder and owner of a business focus on making sure there is alignment between the source of your growth capital and your goals and aspirations. There is no reason for you to follow the restrictions and mindset of traditional venture capital unless you are perfectly aligned with their loss ratio, growth plan, and exit time-frame.